Satisfy your appetite for lunch or dinner at the hotel's restaurant, Mariners Restaurant, or stay in and take advantage of the room service (during limited hours). Unwind at the end of the day with a drink at the bar/lounge or the poolside bar. Buffet breakfasts are available daily from 6:30 AM to 9:30 AM for a fee. Make yourself at home in one of the 44 air-conditioned rooms featuring refrigerators. Rooms have private balconies. Satellite television is provided for your entertainment. Private bathrooms with separate bathtubs and showers feature deep soaking bathtubs and complimentary toiletries. 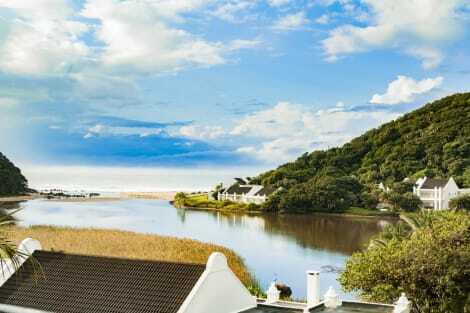 lastminute.com has a fantastic range of hotels in Port Edward, with everything from cheap hotels to luxurious five star accommodation available. We like to live up to our last minute name so remember you can book any one of our excellent Port Edward hotels up until midnight and stay the same night.